I’ve been involved in the digital marketing world for over a decade. I wrote a book about social media and the church. I think a lot about conversions, commissions, list building, content marketing, and affiliate marketing. That’s kinda weird for all the people who just know me as a pastor and just like to get free sermon notes and blog posts about church leadership. And guess what? Sending out sermon notes and blog posts about church leadership probably feels a little weird for the people who know me primarily through the world of marketing. I’m okay with that. I’ve learned to live in the tension, to love Jesus above all else, and to live for an audience of One while trying to serve as many people as I can – my church members, other church leaders, and the world of digital marketers. It kind of stands to reason that when I talk about something I’m very interested in, like affiliate marketing, some of my friends think I’m inviting them into some kind of multi-level marketing thing (it’s not) or a get rich quick scheme (it’s definitely not – it’s a lot of work). So I get it. I tell people often that if online marketing, digital marketing, internet marketing, affiliate marketing (there are way too many overlapping labels) isn’t your thing, cool! Move along. Don’t even read this blog post any further. Don’t waste your life on something you aren’t passionate about, and be sure that you’re passionate about the right things first. Now… for my friends who may or may not have anything to do with the world of ministry but who are intrigued by the concept of affiliate marketing, let me explain briefly what it is that I’m talking about. Affiliate marketing is sharing recommendations and links to products and then earning a commission when someone clicks through and makes a purchase. That’s the simple way to understand it, but there are several ways people approach affiliate marketing. Some affiliate marketers purchase pay-per-click advertising and send it to affiliate links, which is why many of the ads for products you see on Google and other places aren’t actually placed by the company, but by a middle-man hoping to earn commissions. Others build niche websites about things like espresso machines or the best Christian books to buy and then use search engine optimization to draw traffic from people searching for products. It takes longer, but it’s a viable approach. And still others build a brand, a platform, that allows them not only to influence the culture themselves but also to recommend the products other leaders might be sharing. I do almost none of the first kind, some of the second, and a lot of the third. When it comes to building niche websites, I’ve learned a ton from an online learning community called Wealthy Affiliate (I’ve never liked the name, but the platform is great, and free forever if you just want a basic membership). 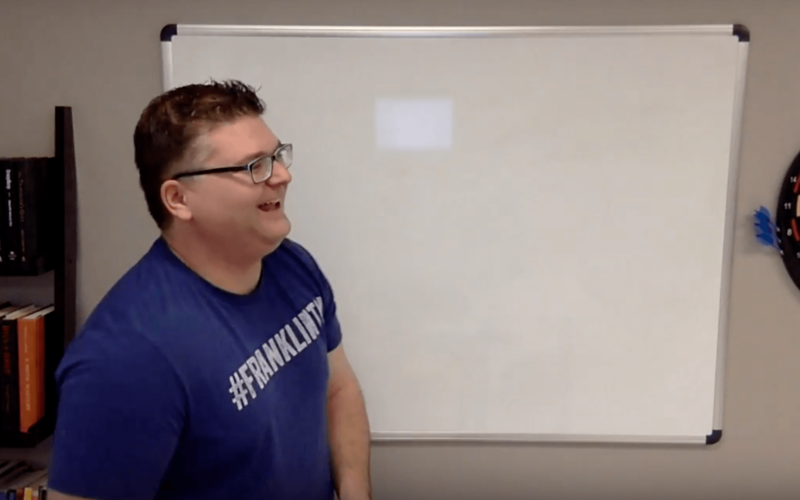 And when it comes to recommending helpful products as a leader, writer, blogger, influencer, or whatever, I’ve learned a ton from one guy in particular – Matt McWilliams. Matt recently launched a podcast called The Affiliate Guy, so that might give you a hint as to what he’s into. Matt’s a genius when it comes to marketing, but what I really love about Matt is that he’s genuinely nice and helpful, has high standards of integrity, and believes strongly that serving people and adding value to their lives is the foundational basis of marketing. Right now, Matt is doing something you might be interested in taking advantage of. He’s teaching some free online workshops and giving away a special report. And he’s opened enrollment in his No Product, No Problem online course for aspiring affiliate marketers. He’ll teach you the methods that work for leveraging your online presence to earn affiliate income, and he’ll start off by affirming a high commitment to ethics in marketing! Affiliate marketing is a fun hobby. It’s a fantastic way to earn extra income, somewhat passively, while serving and helping people. If you have questions, reach out to me! And yes, as you can probably guess, the links in this post are affiliate links. I recommend things I believe in, and I believe you’d be greatly helped by Matt’s course if you want to dive into the right kind of affiliate marketing. Enroll in my free email course, 5 Days to Writing Better Blog Posts, by entering your name and email below. Thanks for enrolling! Check your inbox and confirm your enrollment and we'll get started!